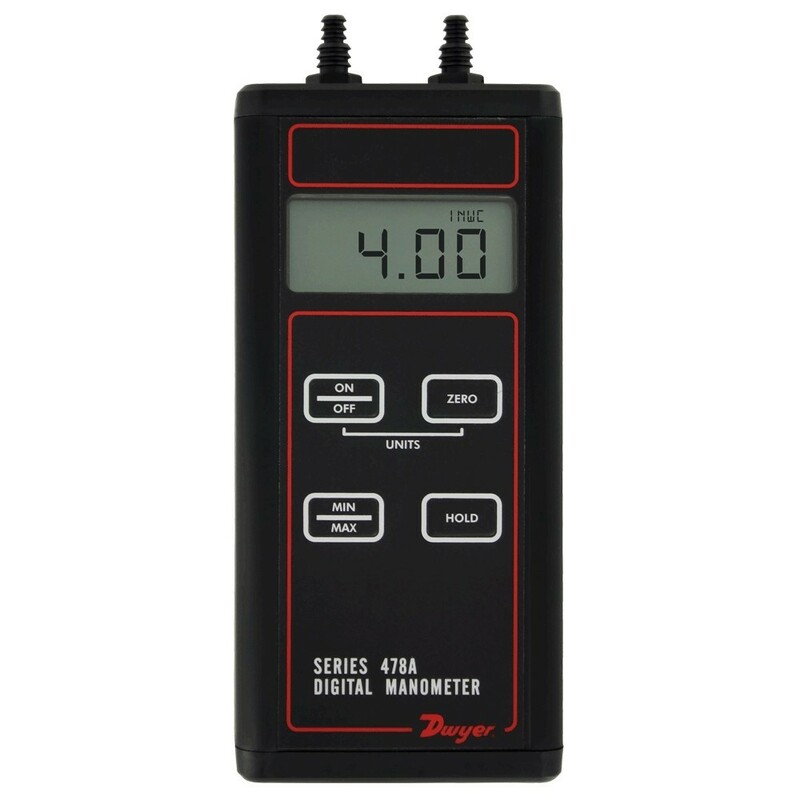 The Dwyer 478A Series Digital Manometers can be used to measure positive, negative, or differential pressures. The pressure range is -4 to 0 to 4 in w.c. with an accuracy of ±1.5%. The unit features selectable units, auto zero, hold and a Min/Max function. Press the Hold key to freeze the current pressure measurement on the display. The 478A manometer includes a zeroing button to null out any minor pressure differences. Ranges available: -4 to 0 to 4 in w.c.